If not, you have to unlock it via playing. If we have a save of NG3, can we get Razor's Edge for free too while they're at it? Nah, even this doesn't make me regret not purchasing that Beta. ...I'll finally buy this whole game even though Hayashi is still associated / involved, lol. I think the main aspect of NG3 that cannot really be salvaged, and what will inescapably make it not as good as other NGs, is the uninspired level design. Specifically, the level design gave you no ability to make use of your environment alot in combat. Actually, if they eventually make a NG4, this I think is one of the next frontiers/evolution in doing something new with the combat gameplay---develop new and greater ways Ryu can use the environment as a tool in combat. Anyway, despite this, I am still excited now for an actual decent NG game and will gladly pick this up day one. 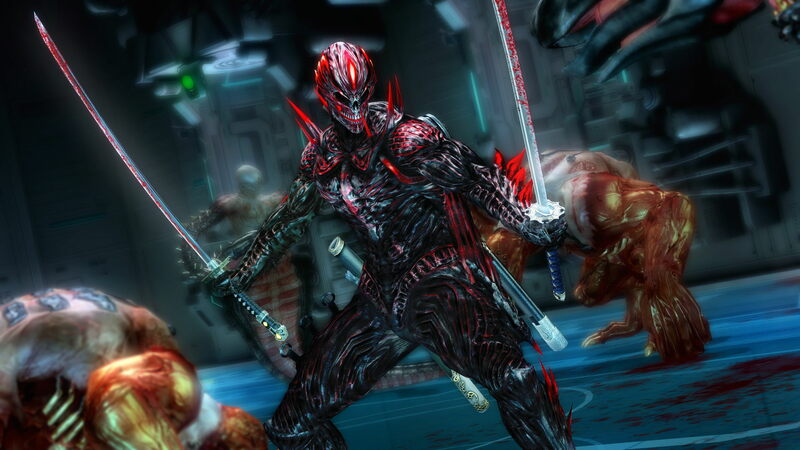 I was solely focused on MGR as my next big action fix, but now am looking forward to NG3:RE nearly as much. NG3:RE for the PS3/360 appears to be confirmed for $39.99 on Amazon. Nice! Shes the most evil woman slayer I've known. There will be a demo. The Karma points gained in it will be transfered to the full game too. I prefer to start the game from square one though. Aaand, the demo is up on the PSN. I'll get this when I have the time. I played a little of the demo and got whooped on normal. I'm going to give it another go today and try to unlock Kasumi. Graphics look really nice though. i have enjoyed the demo i played it a few times now running through the chapters with Ayane and Ryu, how do you unlock Kasumi? To unlock Kasumi get S rank on every difficulty for both days in chapter challenge with Ayane.